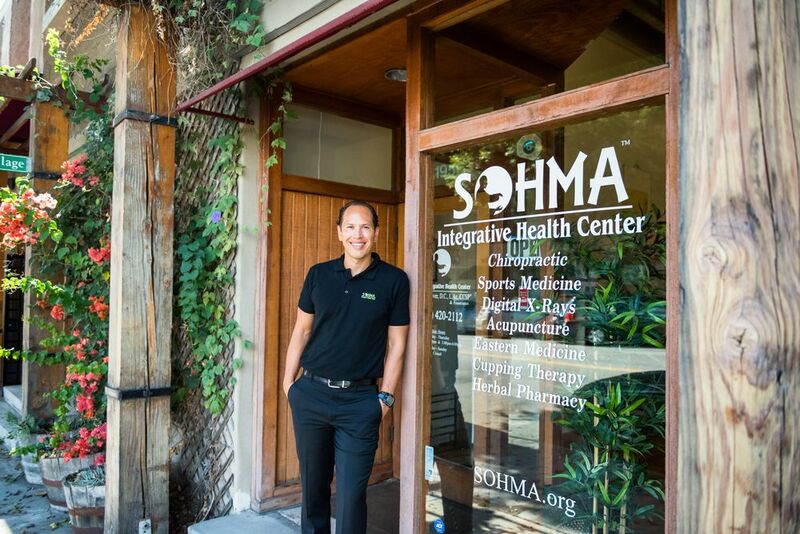 Our mission at SOHMA Integrative Health Center is to provide exceptional, patient-centered healthcare services that combine Eastern and Western practices without the use of drugs or surgery. At the core of SOHMA - School of Healing Martial Arts - we help our patients get out of pain and into balance. Our providers utilize an evidence-based practice and approach while treating patients in a holistic way. We unify ancient wisdom with modern technologies, and offer a wide range of integrative healthcare services, such as chiropractic, sports medicine, digital x-rays, acupuncture, Eastern medicine, cupping therapy, therapeutic massage, ultrasound therapy, spinal decompressions, psychotherapy, and an herbal pharmacy. This approach enables us to discover, diagnose, and treat the root cause of disease rather than the symptoms alone. We also utilize the healing aspects of Tai Chi and other martial arts in our physiotherapies to enhance rehabilitation, self-discipline, and harmony. Our highly-qualified and service-conscientious medical professionals are committed to your optimum health and wellness. Dr. Daniel Hoover has a rare combination of skills that adds to the depth of knowledge that he passes onto his patients and students. He is a doctor of Chiropractic, Licensed Acupuncturist, Master Herbalist, Certified Chiropractic Sports Practitioner®, 5th degree black belt in Shaolin Kempo, Ironman, the Chief Tai Chi Chuan instructor at the School of Healing Martial Arts™, and owner/clinical director of SOHMA Integrative Health Center™. Veronika Lee Hoover, LCSW, comes to us with experience in leading and supporting new and exciting programs that give back to the community. She is trained in social work and psychotherapy, with a focus on multi-dimensional health and living. She is a major contributor to SOHMA Integrative Health Center, where she supports her partner, Dr. Daniel Hoover, Chiropractor and Acupuncturist. Dr. Brandi Kroeze, D.C., graduated with a BS degree in Psychology from U.C. Santa Barbara in 1999. She then went on to earn her doctorate degree in Chiropractic from Cleveland Chino College - LA in 2003, where she gained clinical experience treating a wide range of patients, from infants to the elderly. While in clinic, Dr. Kroeze began to specialize in the treatment of pregnant women, babies, and children.